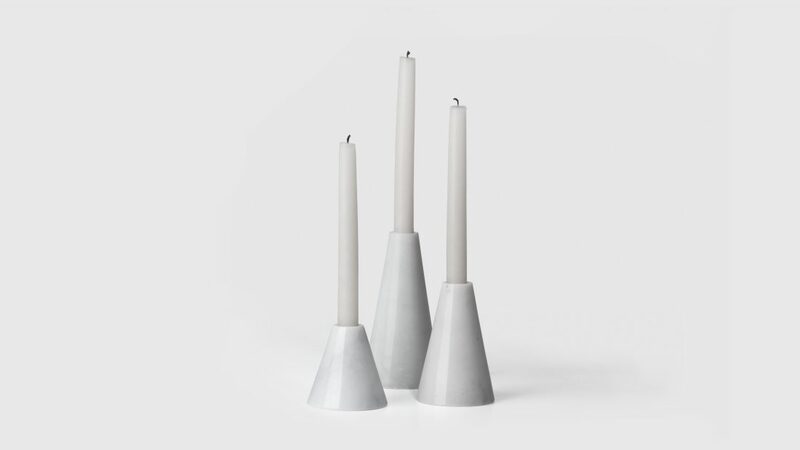 THE PURE CANDLE HOLDERS ARE CAREFULLY MACHINED FROM A SOLID BLOCK MARBLE. SET INCLUDES THREE HOLDERS OF THE DIFFERENT SIZES. Available in a black and white marbles as two sizes.